Early photograph of the smock(?) 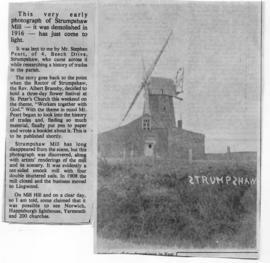 mill at Strumpshaw, from an unknown source. 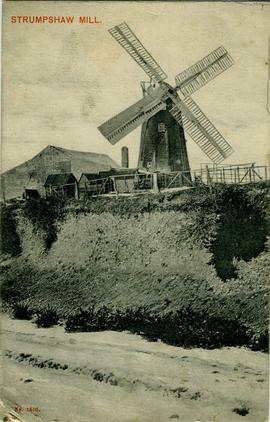 This image is undated; however it cannot be later than 1905 as this copy of the postcard bears a postmark of that date. This image is undated; however it cannot be later than 1906 as this copy of the postcard bears a postmark of that date.